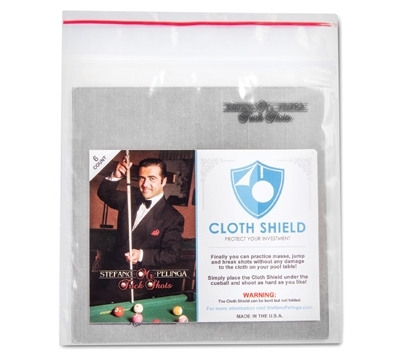 Protect your investment with the Cloth Shield, designed by world famous trick shot artist Stefano Pelinga. Finally you can practice masse, jump, and break shots without any damage to the cloth on your pool table. 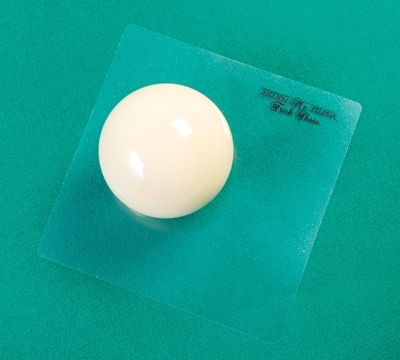 Simply place the Cloth Shield under the cue ball and shoot as hard as you like. And best of all, the Cloth Shield won’t affect the shot. Comes in a package of 3.